Our quality campervans can be constructed to order based on a comprehensive range of layout options. Frontline Campervans make a wonderful recreational vehicle, with the flexibility of being your second vehicle, enabling camping without the canvas with some modcons built-in. The frontline range of campers includes Toyota Hiace and Volkswagen Transporter. The Toyota Hiace Campervan is versatile and reliable, with improved power, safety, space and comfort. The tried and tested VW Transporter provides great handling and comes with safety and comfort guaranteed. Frontline Campervans was founded in 1987 and is still operated by its Australian founders. Frontline has developed an Australia wide reputation for building high quality campervans at affordable prices. 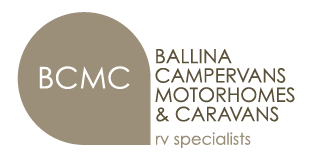 BCMC has been the sole distributors for Frontline Campervans from North of Newcastle through to cover all of Queensland since 1990. The Frontline Camper represents the first built in Recreational Vehicle available through BCMC. Drive Away – From: $74,000 – Click here for FULL DETAILS and click here to view our latest BROCHURE. Toyota Hiace has been a remarkably sound, reliable and inexpensive vehicle to transform into a multi purpose Campervan. Drive Away – From: $63,000 – Click here for FULL DETAILS and click here for or our latest BROCHURE.